Dean has been a licensed real estate agent since 1994 and a licensed real estate broker since 1996. He graduated from Auburn University with a Bachelors Degree in Finance in 1998. Dean also has a Property and Casualties license and is part owner of an insurance company in Robertsdale. Integrity and honesty is what Dean bases his professional life on and looks forward in helping you find your dream home. Angie Sherrer was born and raised in Baldwin County. She graduated from Robertsdale High School in 1997 and attended University of South Alabama in Mobile, AL. She worked for the family business right out of school, selling real estate and running the Manufactured Home dealership. After 12 years she and her brother, Dean Skipper opened Inshore realty in 2011 to better invest in their future. She is married with two beautiful daughters, and lives in Summerdale, AL. Real Estate is not only her profession, but also her passion. "My clients expect me to be professional and personal, educated and knowledgeable about today's Real Estate Market, and I always strive to educate myself, to stay informed with the changes in our industry". When it comes to personal service, Angie says. "It is all about the family's needs, whether they are purchasing a home, selling a home, moving to or from another state or across the street, the need is all the same. I just take care of them as if they were my family. I don't feel as if my job is done, until my clients are more than satisfied with my service." 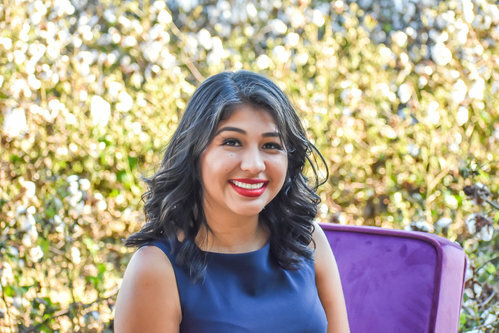 Angelica was born in Mexico and moved to Baldwin County at a young age. She is a graduate of Robertsdale High School and speaks fluent Spanish and English. She is married and has 2 wonderful daughters. She is one of the only Hispanic Realtors in all of Baldwin County. She is a people person and loves getting to know everyone and is always cheerful. Contact her today to let her assist you in buying your new home or land! The "A Team" consists of 2 best friends, Amanda McAuley and Andrea Vernor. They met in a Church Sunday School class 12+ years ago, and decided to embark on this real estate journey together. After years of being stay at home moms, they decided to join the workforce again as real estate agents. They are a fun, energetic duo that would love to help you buy your dream home or sell your current home!! Amanda McAuley was born in McComb, MS but moved to Fairhope when she was 13. She went to Fairhope High School where she met and married her high school sweetheart, DJ, soon after graduating. DJ joined the Marine Corp and for 4 years they lived at Camp Lejeune, NC before they moved back to the Eastern Shore. Amanda worked for years as a licensed marketing agent for a local real estate company before deciding to take a break from the workforce and stay at home with their 2 children Isabel and Morgan. After 11 years of being a stay at home parent she decided to jump back into the real estate field as an agent, partnering with her best friend Andrea and the "A" Team was born! Amanda loves living here on the Eastern Shore and would love to help you find your perfect Eastern Shore home as well!! Call them today and let them help you get started! Andrea Vernor was born and raised in the small town of Hurley, MS. In 2001, she met her husband Greg, who is a Baldwin County native. They got married, built a home in Loxley and started their family. They have 3 daughters - Alivia, Amelia, and Addisyn. Andrea has been a stay at home mom for 13 years. She decided to join the working world again, and is partnering with her best friend Amanda to begin a real estate career! She would love to help you find the perfect home! Please call the A Team for all of your real estate needs! Baldwin County REALTOR® Candice Watts is dedicated to givingher real estate clients the best service they’ve ever experienced. For her, it all begins with listening well, then asking andanswering questions to be sure that she understands her clients’ wishes andgoals. She enjoys meeting people and building relationships, and she recognizesthat the purchase or sale of a home is not just one of the most financiallysignificant events in a person’s life – it’s one of the most emotionallysignificant events as well. She feels that it is her honor and privilege toplay a role in that process. In order to reduce her client’s anxiety and create apleasant, positive home buying or selling experience, she is proactive instaying in touch with them throughout their transactions. She anticipates theirconcerns and questions and keeps them informed at every step. And of course,she’s always prompt in responding to their calls, emails, and text messages.Blessed with a positive attitude and an engaging smile, Candice enjoys workinghard and helping people. Candice was born and raised in Louisiana and holds a degreein Business Management from Southeastern Louisiana University. After visiting,vacationing, and enjoying our many attractions for several years, she moved toBaldwin County in 2014. Before choosing a career in real estate, Candice managed alarge RV Resort. There she enjoyed meeting area newcomers and introducing themto the Baldwin County facilities and attractions that made their vacationsmemorable. Candice uses her extensive area knowledge in addition to acontinual study of the real estate market to help home buyers choose the righthome in the right location to suit their specific lifestyles. On the personal side, she’s an avid runner, wine enthusiast,and animal lover. 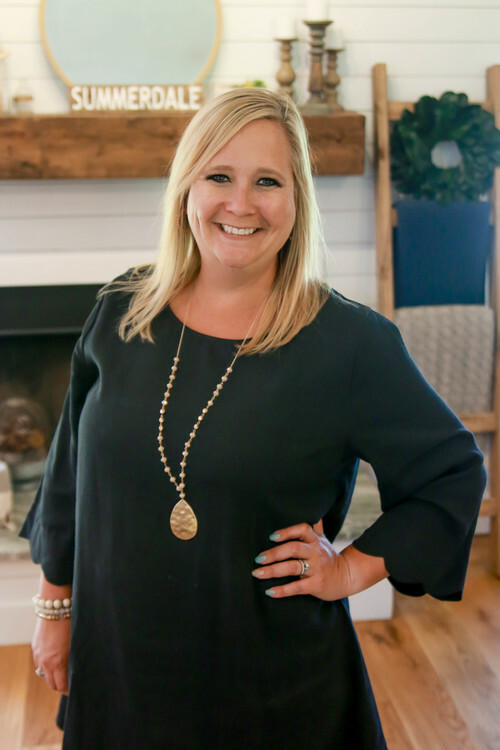 Whether you’re buying or selling a home in Alabama’s BaldwinCounty, you can count on Candice Watts to go above and beyond in her service toyou. She’ll be at your side throughout your transaction and her service willnot end with your closing. She’ll continue to be there as your real estateresource any time you call. For Jeremy Stanford, real estate has been a lifelong interest, and was a hobby for many years before he decided to make it his profession. Born and raised in Brewton, AL, Jeremy and his family moved to Baldwin County in 2013. 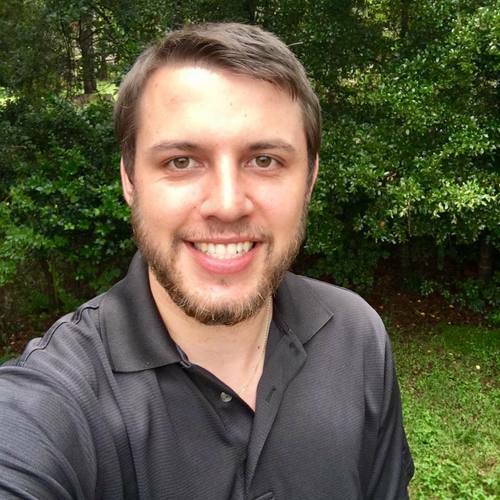 He has extensive knowledge of Baldwin and Escambia counties, from the small communities and rural areas to the more metropolitan neighborhoods. Having worked many years as a teacher, as well as being a father of three, Jeremy has a deep appreciation for the busy schedules that drive many households and strives to be accommodating to all client schedules, no matter how chaotic. Jeremy diligently studies the market to keep abreast of its constant changes, and works tirelessly before, during, and after the sale to make sure his clients are 110% informed, equipped, and satisfied. His sincere, easygoing, personable demeanor make him a favorite, and his dedication to finding the perfect fit for every client will make Jeremy your realtor for life. Stacy has lived in Baldwin County for 14 years. Before moving to Baldwin County, Stacy was born in Mobile, AL; where she met the love of her life, Charles Eubanks. Their biggest joy in life are their four kids: Chad (Jai) Eubanks, Brandon (Michelle) Eubanks, Travis Eubanks, and Lydia Eubanks; and their wonderful granddaughter Chaisley. Stacy has always encouraged her kids to follow their dreams in life and go after what they want. Now that her kids are grown, she is following her own advice and going after her dream. She has longed to be a real estate agent and now that the perfect time has come, she is excited to hit the ground running. She wants to help clients find their home where they can start making their own memories that will last a lifetime. She does not want to be just a real estate agent, she wants to make a lasting relationship with her clients. Stacy is willing to offer her one-of-a-kind trademark service to ensure her clients are well taken care of. Whether you are looking to buy or sell, she strives to keep your best interest top priority. Contact Stacy Eubanks today to start your new journey in making your dreams come true. Tahnee Donnelly was born at Ft. Rucker, Alabama. Being raised in a military family, she has lived in Alabama, Georgia, Kentucky, Tennessee, Alaska and California and traveled extensively. She understands new beginnings in new places and loves the excitement that moving brings and selecting that perfect home. She is married to Dennis Donnelly and they have three amazing children that were raised in a Christian home. Tahnee loves the Lord and has a passion for serving Him. Having received her nursing degree in 2008, she has worked in the healthcare field in Baldwin County for 10 years. Her husband, Dennis, owns Donnelly Designs and contracts with businesses and homeowners alike. Please call her when you are ready to explore new ideas in home designs, discuss your dream home or to schedule a home buying or selling consultation. 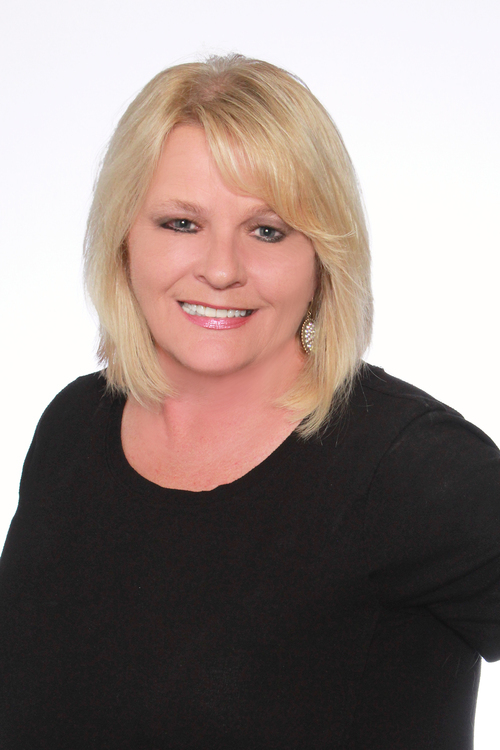 She has a passion for working with people and helping them realize their real estate dreams! Tracy was born and raised in Springfield, TN and has called the Gulf Coast home since 2000. She married a home town Daphne boy and they have a beautiful daughter, 2 dogs and a cat. Having worked in the lending industry for over 20 years, transitioning to a real estate agent just seemed like a perfect fit. Tracy got her real estate license in February 2016 and is very excited about her new career. Knowing the requirements of lenders and working so closley with many local lenders over the years, she knows what it takes to get to the closing table. "I still remember the excitement of buying a home and what a reliable and knowledgable realtor I worked with felt like. I want to be that to someone else, whether they are buying their first house or their last house, I want to provide the same comfort level I experienced." 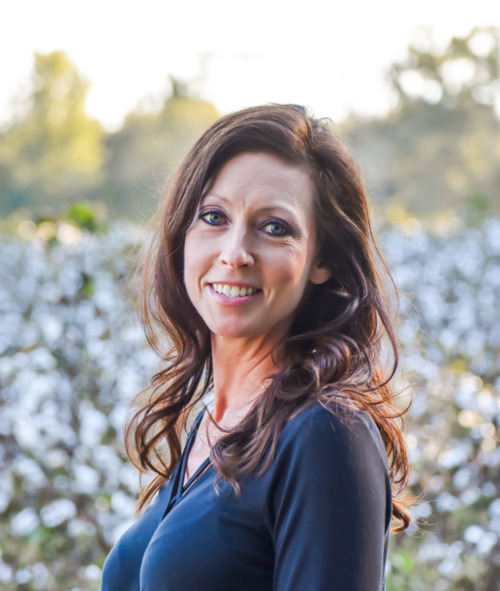 My name is Jennifer Anderson, and I am proud to announce that I have recently joined the Inshore Realty family here in beautiful Baldwin county, Alabama. I have lived on the Alabama gulf coast for the last 29 years, and am very familiar with the area. I have 28 years experience working in customer service with the public. I have an extensive background in the medical field, helping people during some of the most difficult times in their lives. Assisting people has been a part of my life as long as I can remember, and I am very passionate about it. Having bought and sold several personal homes as a client myself, I understand the experience can be overwhelming at times. For me it is more than just a transaction; it is a very emotional time and, for most, a long-term financial commitment. I believe that building relationships through good communication is a very vital part of the real estate process, from beginning to end. I was blessed with a phenomenal realtor who educated me and walked me through the entire process, making me feel at ease. She was my inspiration, to say the least, when I decided to enter the field. Whether you are buying or selling, I make it my priority to ensure that you receive the same treatment that I did as a client. It is an honor to know that you have entrusted me to assist you with one of life’s most important decisions. Ronnie has been a licensed agent for over 15 years and has always had an interest in the Real Estate business where he started an LLC for rental property. Ronnie has a degree in Business Administration from the University of South Alabama and served in two branches of the Armed Forces with the Army Reserve and Navy Reserve for 17 years. He was Vice President of Business Development for a top ten Engineering and Contruction company for over 30 years and has lived in Baldwin County for over 40 years. Dean Skipper and Angela Sherrer are proud to announce the opening of their Real Estate Company, Inshore Realty in Baldwin County. Dean and Angie have over 25 years of combined experience, Inshore Realty looks forward to assisting you with all of your Real Estate needs.